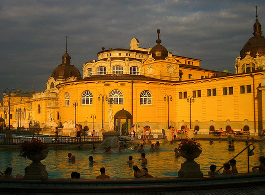 You must have seen dozens of guest made photos and videos at Szechenyi Spa Baths in Budapest. The question is can you yourself take photos of your stay at the bath complex, or is it prohibited, or discouraged in any way. 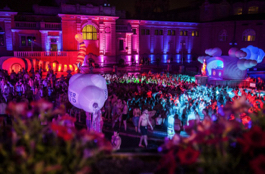 Should you pay fro a photo permit in addition to your bath entry? 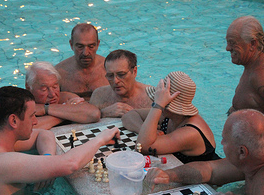 The simple answer is that taking photos at the baths is not regulated. 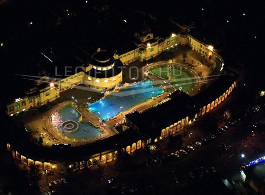 In other words, currently there are no photography permission rules at Szechenyi Baths, so yes, you can bring your camera, mobile phone and take pictures and videos at the world famous bath complex, and upload them on social sites. You are neither encouraged, nor discouraged. Please also be aware, that as you take photos of others, they may also take photos of you. 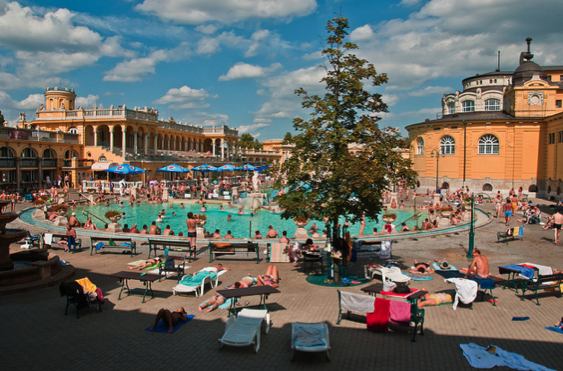 The general etiquette is that it is not polite to take upfront body photos of half naked people without their expressed permission, but it is OK to take panoramic photos in the baths and pools. If someone is against being shot in a picture or video, please respect their privacy and refrain from photography. Please do not bring your top notch hand camera or video equipment, especially if you just leave it by the pool while you are soaking in the baths, and, just as seen in this photo, there is no one to take care of them. Your valuables are not insured via the bath entry ticket. There are no security cameras observing the pools either. You are responsible for looking after yourself and your belongings. Of course, you can use the locker and the cabin for safe storage indoors. Rarely though, some accidents have happened (e.g. some guests simply forgot to close their locker or cabin door), so please leave your precious items at home rather than taking unnecessary risks. Hi, I went to the Party on february 21st and I couldnt find the pictures until now. Could someome help me? Where can I find the pictures? Hello Just wondered where the photos get uploaded too? Was at a sparty on the 19th September 2015. Where can I find these photos?! Hi, I can not find a confirmation email regarding my visit to the baths in the next couple of weeks. Please can this be resent to me? Thanks. we have sent you the confirmation, and also received yours that you have your tickets. 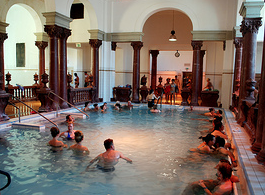 Have a lovely time in the Baths! if the sun top is from swimming costume material is allowed. I am afraid, regular tops are not allowed inside the pool areas. Swimming shorts are fine.